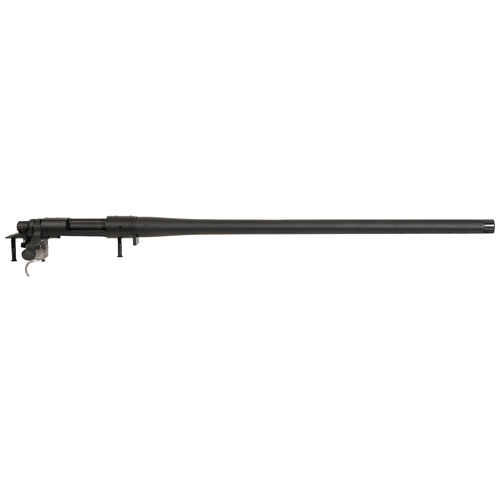 A Scopelist special buy, this Remington 700 Police barreled action features the classic 700 Remington action, 22 inch threaded barrel with an X-Mark Pro trigger all in one package. A Scopelist special buy, this Remington 700 Police barreled action features the classic 700 Remington action, 22 inch threaded barrel with an X-Mark Pro trigger all in one package. Perfect for hunting, tactical and precision shooting , the Remington 700 in 6.5 Creedmoor is a precision focused rifle with a proven track record. Need some ideas on a stock to pair with this barreled action? Take a look at our Manners Composite Stock, or perhaps start with an Accuracy International AICS chassis. Or, give us a call at 866-271-7212 and get some suggestions from our team of shooters and hunters.